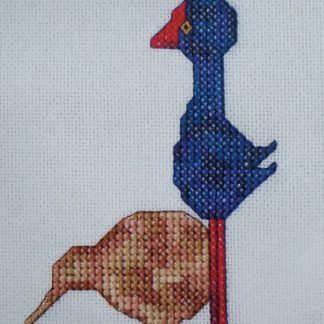 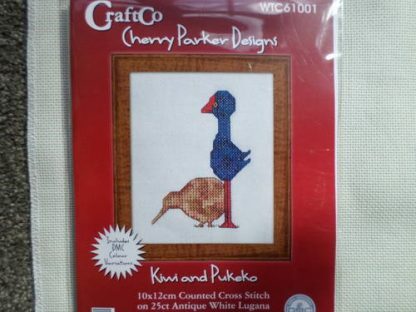 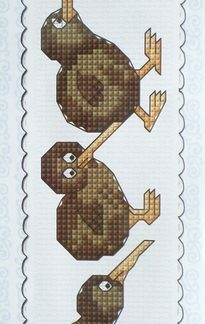 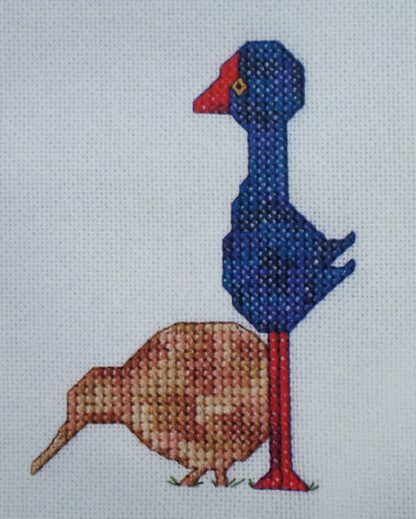 A Cherry Parker Designs kit of two of New Zealand’s iconic symbols; the Kiwi and the Pukeko. 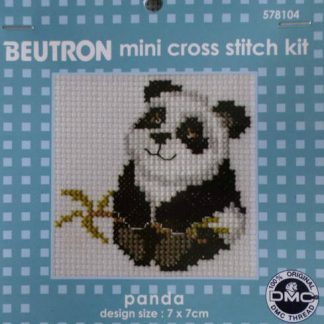 The kit contains 25 count white Lugana Evenweave fabric, cotton DMC threads, a needle and full instructions. 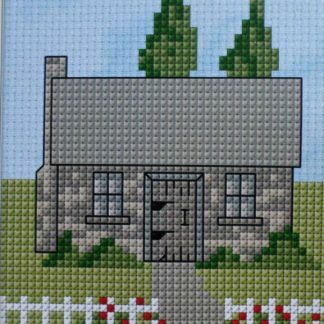 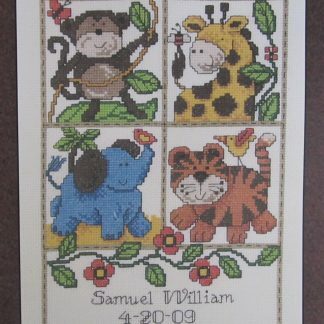 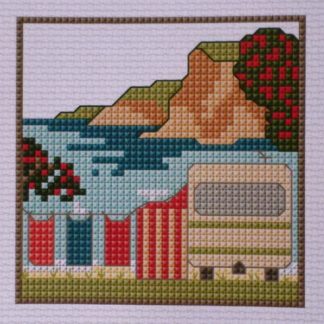 The finished design size is 10 x 12 cm.